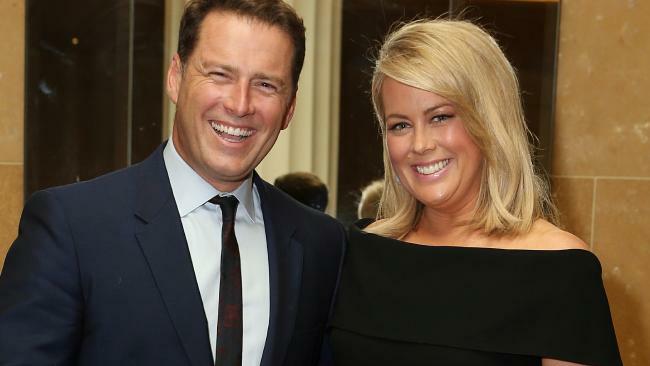 TODAY host Karl Stefanovic "can't stand" his Sunrise rivals over on Seven - and reckons there are "cracks starting to appear" in their on-air breakfast team. At least, that's what the Nine star said during a cheeky interview with Nova's Fitzy and Wippa this morning. The radio hosts wanted to probe Stefanovic about his supposed rivalry with Sunrise hosts David Koch and Sam Armytage, and Stefanovic seemed happy to play along. The Seven and Nine stars are all staying in the same hotel in London as they report on this weekend's royal wedding. "I haven't run into Kochie, but I have run into Sam and Edwina [Bartholomew] on the flight over and the breakfast buffet. I am deliberately trying to stall their progress over here," Stefanovic said, tongue planted firmly in cheek. "We are fierce [rivals], there's no doubt about that. I can't stand them. I can't stand looking at them. I've read about how at each other's throats they were … I think there's cracks starting to appear," he continued. Fitzy and Wippa then suggested they get Armytage on the phone so the pair could go head-to-head. Karl agreed - on one condition. "I just want to have it on the record that there's no dramas between us. But now, let's do a sting on her," he laughed. Soon enough, Armytage was on the line, the morning TV stars trading savage barbs back and forth. "It's Karl. You might know me from such shows as the Today show in Australia," Stefanovic told her. "Look, I've never watched it. I've heard it's a bit second rate," she quipped. "Yeah, it is second rate - just not in Brisbane, Sydney or Melbourne," he shot back, a reference to Today's ratings wins. 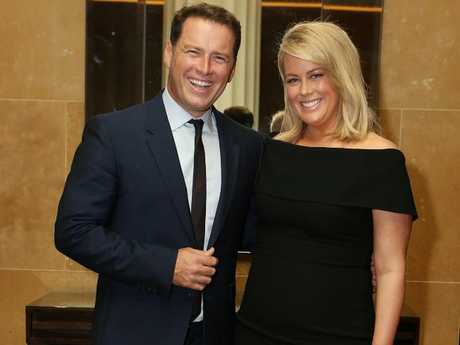 Stefanovic tried to get a rise out of Armytage by claiming he'd been upgraded to a penthouse suite, complete with pool, spa and ping pong tables, at their London hotel. "I just thought we'd get everyone around for a drink and to break bread," he offered. Armytage's response left him momentarily speechless: "Like, in the spa, do you think?" As the conversation wound up, both reiterated that their relationship was friendly, and asked listeners not to believe reports of bad blood on outlets like "the Daily Mail, Woman's Day or New Idea." "Or that bloody Sunrise - just lie after lie, fake news," Stefanovic said. But Armytage still wanted to know how Stefanovic had scored his (not actually real) penthouse suite upgrade. "How did you get that upgrade, Karl? How come I'm down on the fifth floor in a little shoebox?" she asked. "Oh, she's slightly bitter," he said. They ended their convo with a promise to catch up for Friday night drinks "in Karl's suite".